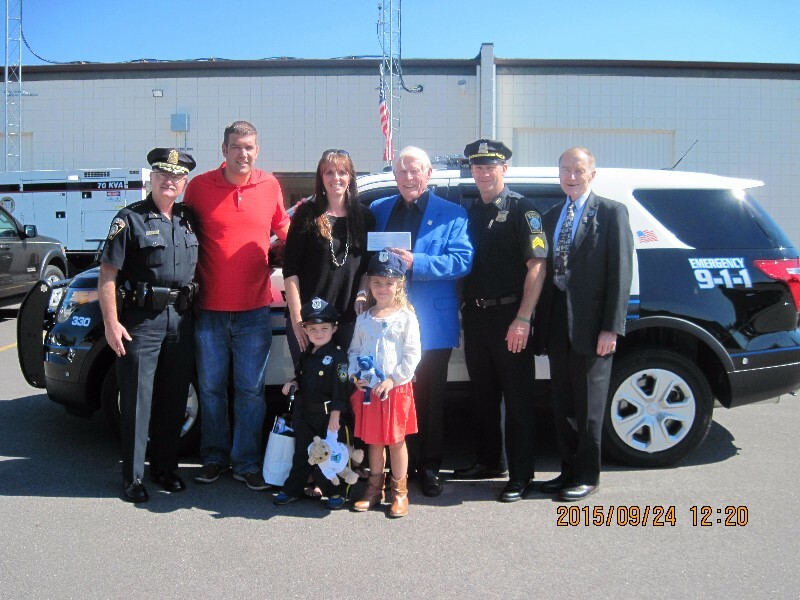 On September 24, 2015, Cops For Kids With Cancer went to the Medfield Police Department and made a $5,000.00 donation to the family of Declan Higgins, a 3 year old boy from Medfield who has brain cancer. In photo left to right, Chief Robert Meaney, Father David, Declan, Mother Kristine, Sister Somer, Bob Faherty, Boston Police Sergt. Joe Sullivan and Det. Lieut. Bill Coulter, MSP, and CFKWC board member.